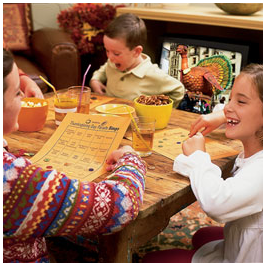 Looking for something to entertain the kids while you make last minute Thanksgiving preparations? Family Fun has free printable Thanksgiving Day parade bingo cards. My kids are already talking about the parade so this will be a fun addition. Is football more your style? They also have a football bingo game. Between making gum drop turkeys and parade bingo, my kids are going to have a blast before the guests arrive!